Despite the global popularity of its namesake beverage, Tequila has been overlooked as a tourist destination—until now. The endearing charm of this part of the world, though, has existed unchanged for decades. That outsiders are only now beginning to go out of their way to notice is more a sign of a changing world than of a changing Tequila. 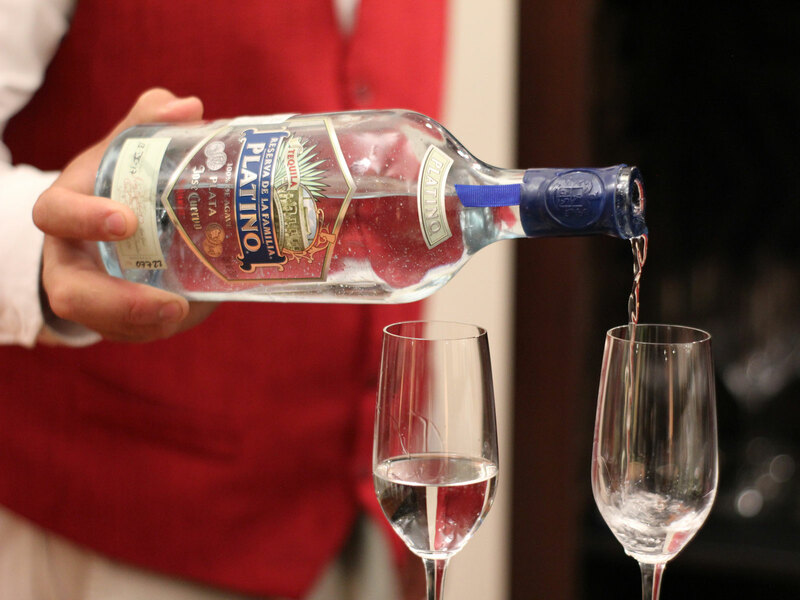 As Mexico’s most famous export, tequila is universally recognized along the backbars of watering holes all over the world. But few drinkers are aware that the spirit is named after an actual place — a bustling village of some 40,000 residents, near the heart of Jalisco. Fewer still have made the journey here. Despite the global popularity of its namesake beverage, the town has failed to establish itself as a bonafide tourist destination. Until now. With the launching of the Jose Cuervo Express nearly twenty years ago, the industry signaled an eagerness to cultivate tourism. But it was slow to take off. Today, there are multiple trains departing Guadalajara daily, with direct service to both Herradura and Jose Cuervo’s La Rojeña distilleries. Along the way guests are treated to tastings, live mariachi and staples of local cuisine. The experience is more than just cultural pizzazz; because the destination is nearly two hours from the closest international airport, the train serves a practical purpose of conveniently carting visitors to a relatively remote region of the country. 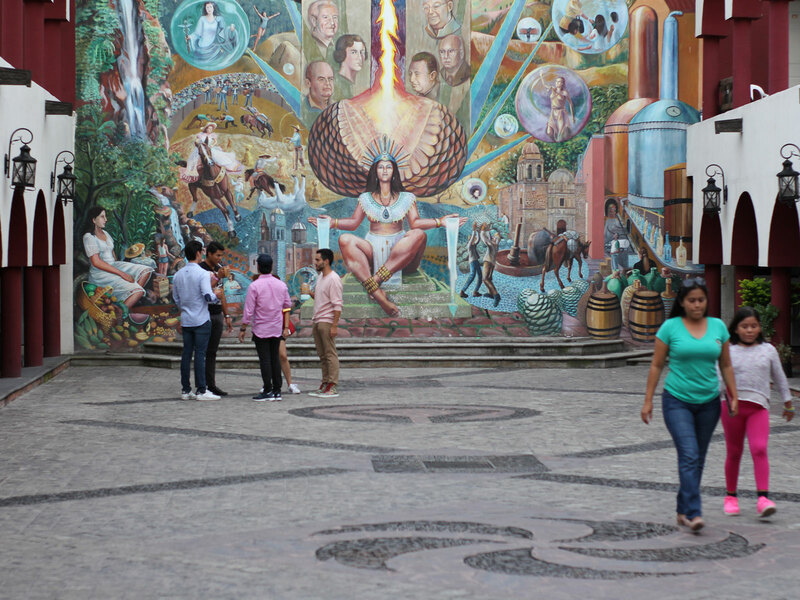 Like many towns in Latin America, Tequila is built around a central plaza. If you’ve explored this part of the world, it’s a familiar scene: bell-towered church, street vendors, cafés spilling out onto the sidewalk. Unique here, however, is the oak barrel-shaped trolley waiting to whisk visitors to a nearby distillery. Then there’s the faint aroma of roasting agave — like freshly-baked candied yams — clinging to the air. A mural vividly depicts the gods passing the gift of alcohol into the hands of man. There are constant reminders around every corner that this landscape and the booze it births are inextricably linked. Cuervo hopes to showcase this land’s liquid legacy to outsiders by way of luxury lodging. One of the biggest names in tequila opened Hotel Solar de las Animas in 2016. One block off the main plaza, it’s the town’s only Relais and Chateaux property with 93 rooms, spa treatments and poolside palomas. It’s also an easy, five-minute walk to the brand’s fully operational distillery and tasting room. The estate serves as welcome center and art gallery during the annual release of their cognac-like Reserva de La Familia extra añejo, every autumn. Solar de Animas does more than give visitors a well-appointed home base from which to sip tequila and stare at that volcano on the not-so-distant horizon. It also introduces gourmet dining into the equation. 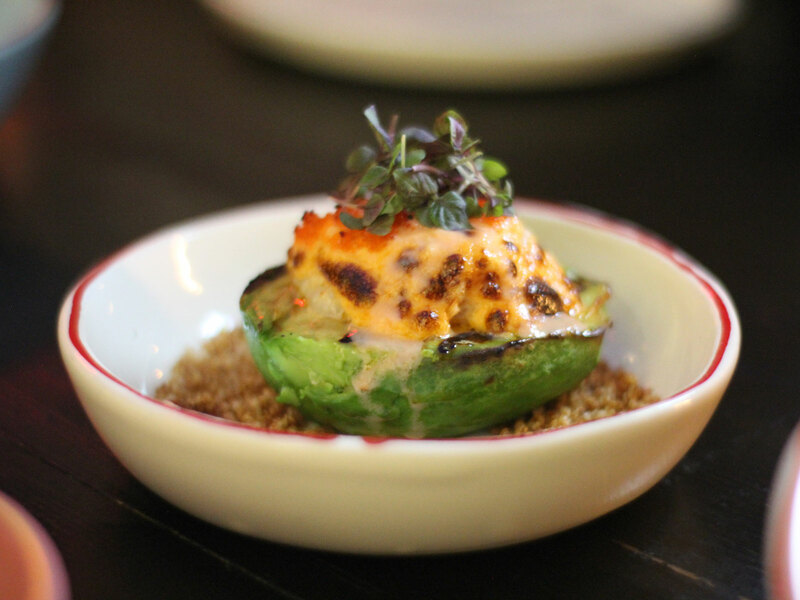 La Antigua Casona is the property’s stately outpost for internationally-inspired tasting menus. Organic fare is paired alongside an extensive array of tequila selections from dozens of local producers — ranging up to $200 a pour. The restaurant forms the perfect platform for the native spirit to dance, re-cast in its elevated role. But there’s plenty to admire closer to the ground. La Capilla, a nondescript dive on the outskirts of the sqaure is nothing short of legendary. Six decades ago, the bar invented a simple combination of coke, lime and tequila known as the Batanga. It remains the best place on earth to enjoy the cocktail, and was recently awarded with distinction as one of the world’s top 50 bars. Today, it’s an obligatory pitstop for any true agave aficionado. Sensing the influx of booze thirsty travelers, distilleries about town are pouring heavy resources into updated visitors experiences. Casa Sauza offers a colorful courtyard with well-manicured gardens, margarita-making classes and Jaliscan food pairings out of a high-minded kitchen. El Llano, the city’s oldest ‘Fabrica de Tequila,’ managed to modernize an informative tour, while also honoring a 120-year history. Tasting rooms have sprung up independent of specific brands and producers. La Cata, for example, exists as a sort of tequila classroom with comprehensive, educational seminars. The uninitiated can learn the basics — the differences between, say, blanco, reposado and añejo categories; whereas the advanced sipper can suss out the subtleties separating lowland liquid from that of the highlands. The moment mixology classes appeared, it was clear that a certain modernism was making itself known around here. The endearing charm of this part of the world, though, has existed unchanged for decades. That outsiders are only now beginning to go out of their way to notice is more a sign of a changing world than of a changing Tequila. But as its eponymous spirit continues to soar, the town and its people are putting their best foot forward, stepping up the local scene to insure Tequila is propped up proudly on the global map — with a capital "T."
Would You Drink Tequila from Scotland?